Our partners at Living Lands & Waters are kicking off their work to engage students from across the Mississippi River watershed in the EarthEcho Water Challenge while taking action to clean up this critically important waterway. 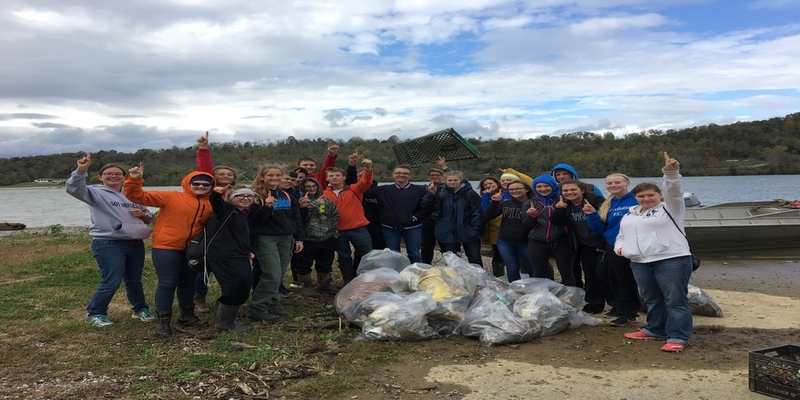 Recently, students from Rising Sun High School and students from Covington Catholic High School joined the Living Lands & Waters team on their floating classroom in Indiana and Kentucky respectively to take part in water quality monitoring efforts, sharing their data through the EarthEcho Water Challenge global database. Participants also worked with Living Lands & Waters to help clean up the local waterways in this region. This program is part of Living Lands & Waters efforts to offer free, environmental science workshops on their floating classroom throughout the Mississippi River basin. The goal of their student workshops is to expand awareness of environmental issues and help students understand the shared responsibility they have to help protect this important environment. Click here to learn more about our partnership with Living Lands & Waters.